Throughout the holy month of Ramadan Zuhour group, one of the Middle East’s top F&B companies is proud to be running a fundraising initiative across all its brands to support and bring happiness to hardworking labourers. The campaign unites all Zuhour Group brands including Zaroob, Mezza House and Sofraji to join hands and encourage the community to give back and make a difference. In collaboration with the Red Crescent, Zuhour group will prepare and deliver full Iftar meal boxes throughout the month of Ramadan for only AED 12. Zuhour group has so far contributed AED 30,000 to support Red Crescent projects, while encouraging the community to also contribute to the cause. Throughout the Holy Month diners enjoying their Ramadan experience at any of the group’s restaurants will be invited to add a small donation of AED 12 AED to prepare and deliver an iftar meal on his or her behalf. All money donated will go directly towards preparing delicious fulfilling meals and deliver to labour camps assigned by Red Crescent. The Red Crescent in Dubai works tirelessly to promote compassion amongst the community with the support and assistance of charitable programmes and projects to achieve humanitarian services that includes all walks of life and various aspects of support for low-income and limited-income people and families. “We spend our time making a living by what we get, forgetting that we can make a life by what we give”, said Elie Badawi, General Manager, Zuhour Group. As Zuhour group family believes in charity as an essential element of living a good and well-rounded life. So let’s help those who are less fortunate. Indulge in a delicious array of Levant home cooked authentic dishes at Mezza House, Downtown Dubai, then listen to the relaxing live music performance while enjoying your favourite Levant delights. 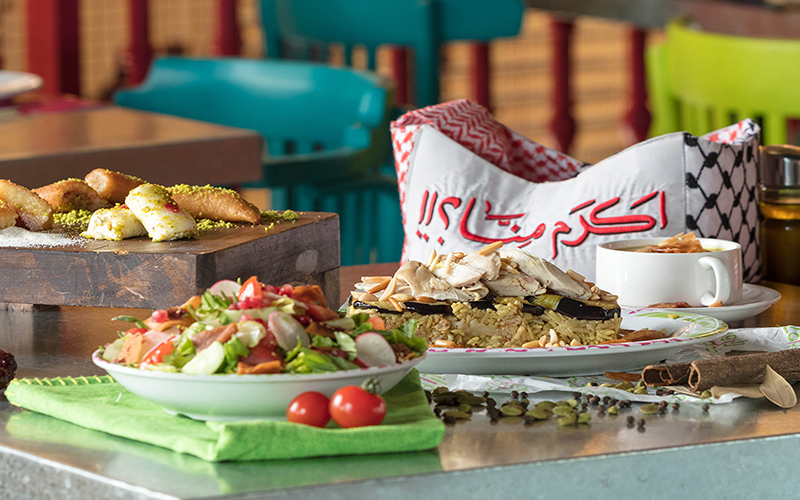 Celebrate Ramadan with a Zaroobian colourful twist – located across Dubai on Sheikh Zayed Road, in Dubai Marina, Ibn Battuta and on Palm Jumeirah. 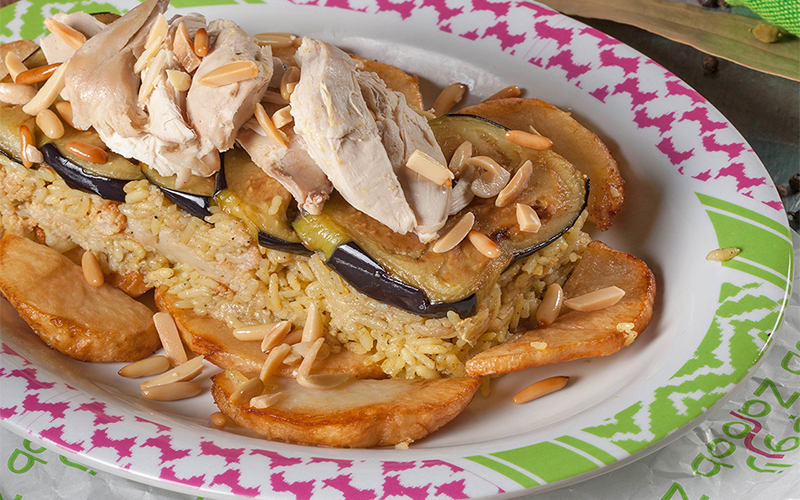 Packed full of Levant flavours, the dishes at Zaroob offer an iftar like no other. 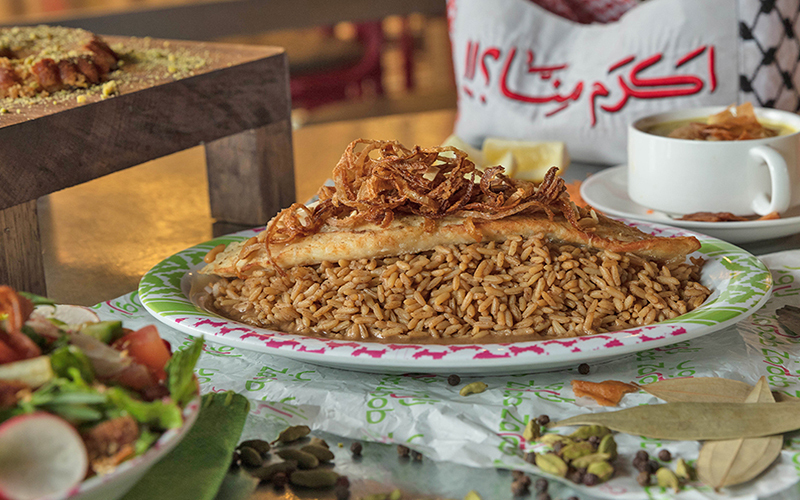 Diners can start with a warm delicious lentil soup, fresh salad, followed by a home cooked main course, and to wrap up, diners can indulge in mouth-watering Arabic desserts and drinks, all for AED 68 only. Zaroob have also got you covered for suhoor with delivery available 24/7 offering you the ultimate suhour combo delivered to your doorstep. 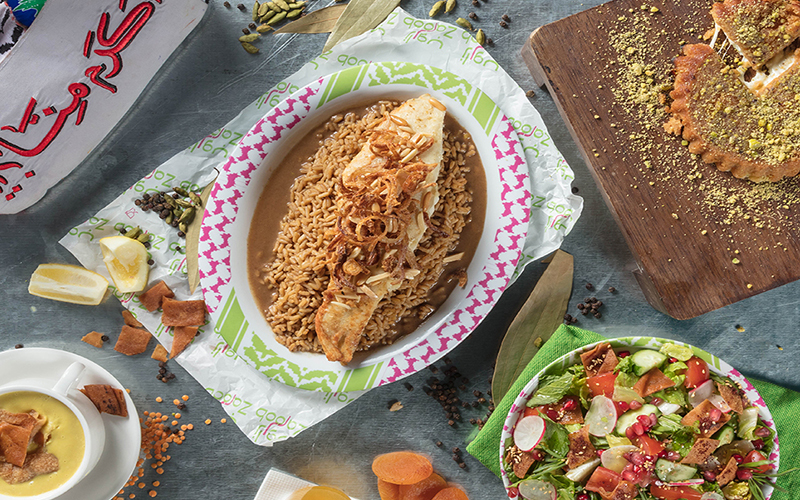 Suhour from Zaroob includes manoushe, hummus, falafel and a drink for AED 59. Make this Ramadan one to remember with Zuhour Group restaurants across Dubai to enjoy Iftar and Suhoor. For more information about the restaurants visit Zaroob and Mezza House.